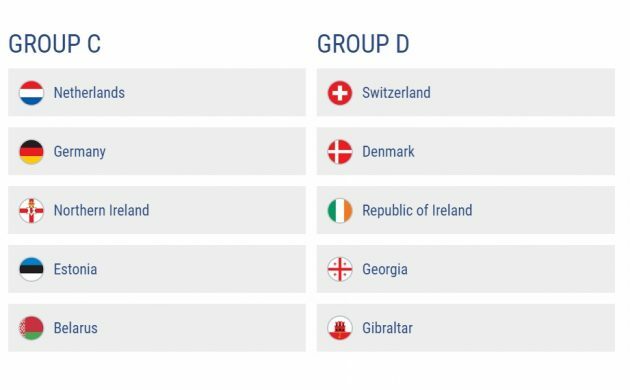 The football gods were once again smiling down on Denmark in a draw for a major competition as the Danes were handed a favourable qualifcation group for Euro 2020 in Dublin today. Denmark, seeded second, landed in Group D along with Switzerland, Ireland, Georgia and Gibraltar. The Swiss were the top-seeded team and, while they are certainly no push-overs, head coach Åge Hareide and company are likely quite relieved to avoided big guns like France, England, Spain, Belgium and Italy. The Danes will once again lock horns with third-seeded Ireland, who they’ve played four times in the past year – which yielded three dour goalless draws and the legendary 5-1 thrashing in Dublin in the deciding 2018 World Cup qualification playoff. Serbia, Bulgaria and Turkey were avoided from the third-seed pot, as were Montenegro, Romania and Albania from the fourth-seed pot. Instead, the Danes drew Georgia, a team in the ascendancy no doubt, but one Denmark will be confident in beating. New startup minnows Gibraltar popped up from the fifth-seeds and Denmark won’t mind missing out on tougher foes like Armenia, Kazakhstan and Kosovo. Should the Danes falter in Group D, they still have a chance to qualify via the Nations League playoffs. Elsewhere, Spain will be embarking on a Nordic tour after being drawn in Group F with Sweden, Norway and the Faroe Islands. The Netherlands will face off against rivals Germany in Group C, England were handed tough eastern opposition in Group A and Iceland got the World Cup holders France. See all the groups below. 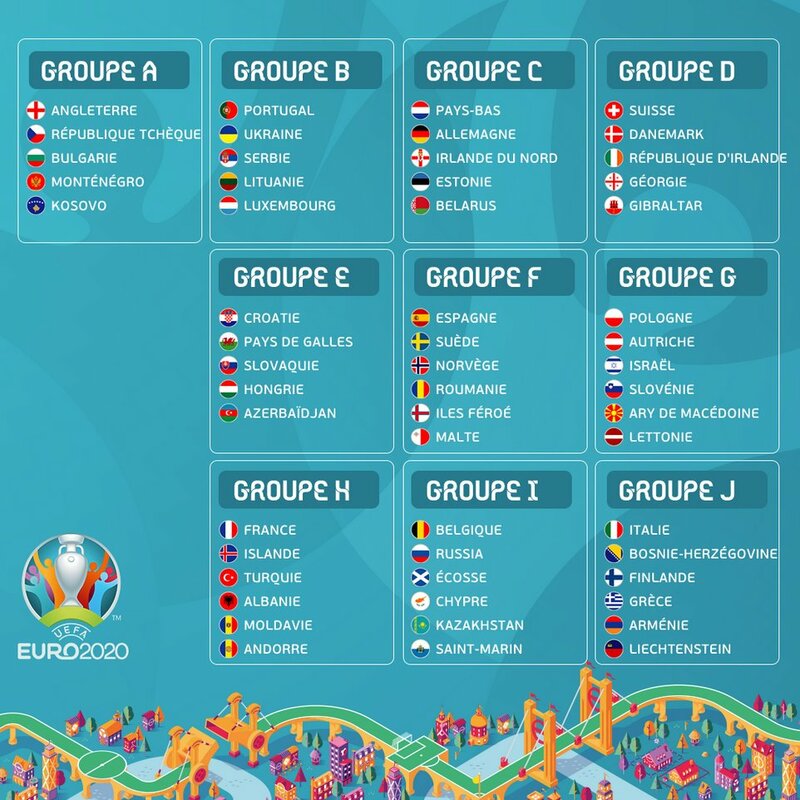 To celebrate 60 years of European Championships, Euro 2020 will be hosted in 12 European cities, including Copenhagen which will host three group games (June 13, 18 and 22) and a last-16 clash on June 29. The tournament will run from June 12-July 12 in 2020.